While we recently saw quite a few Yoga tablet models from Lenovo, the company has now launched a bigger 13.3 inch Lenovo Yoga Tablet 2. 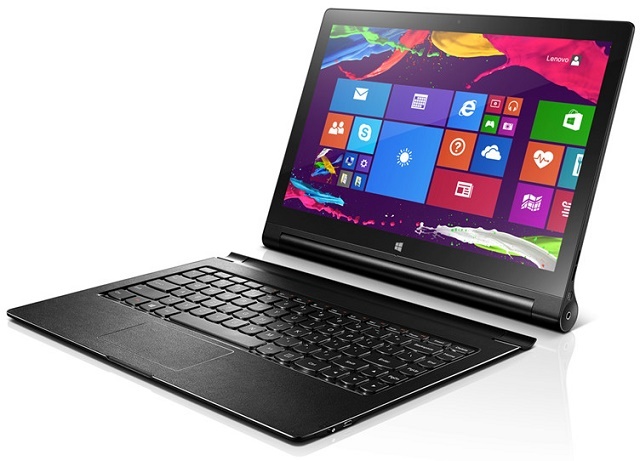 Lenovo has announced the launch of the Lenovo Yoga Tablet 2, which is the latest addition to the Yoga Tablet range. The tablet has a massive 13.3 inch IPS display with 178-degree viewing angle and resolution of 2560 x 1440 pixels. The device is powered by a quad core Intel Atom processor with 4 GB of RAM and 64 GB of internal storage. The Lenovo Yoga Tablet 2 is equipped with a front facing 1.6 MP HD camera. The tablet is powered by the Windows 8.1 OS. The tablet also has the dual front large-chamber JBL Speakers, 5W Subwoofer, Dolby Audio and Wolfson Master Hi-Fi Codec. The device is expected to be available globally starting next month.